[tps_footer]Blazing Bajirao is a unique marketing initiative from Eros International’s on-demand entertainment portal, ErosNow for Sanjay Leela Bhansali’s magnum opus, Bajirao Mastani. 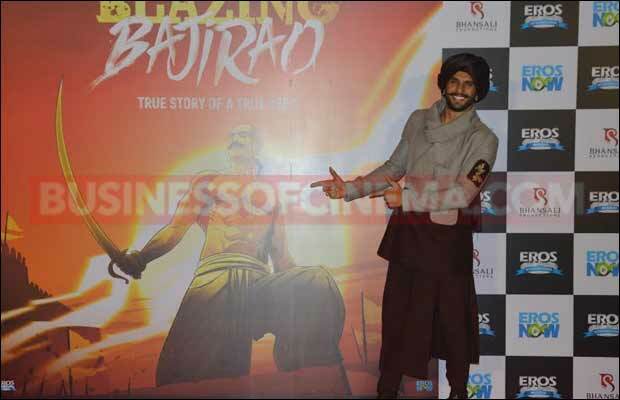 A first for the Indian film industry, Blazing Bajirao is a digital graphic series, created to familiarize audiences with the life and history of the lead characters—Bajirao and Mastani—ahead of the release of the film Bajirao Mastani on December 18. The graphic series will be followed by the launch of the Blazing Bajirao Game, which focuses on the legendary Peshwa’s search for supremacy in an epic hunt for love and glory. The game will soon be available exclusively on www.erosnow.com, while the app will be available for download on the App Store and Google Play. 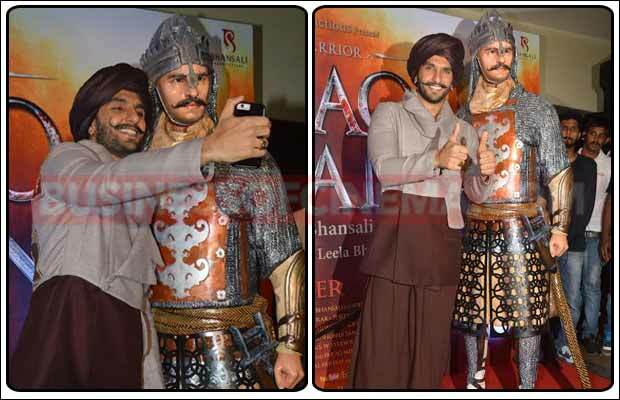 At the event, Ranveer Singh also unveiled a 6-foot tall life-size Bajirao figurine that will be housed at multiplexes this festive season. The figurine marks another shift in film marketing, since publicity material is usually confined to routine standees and backdrops. 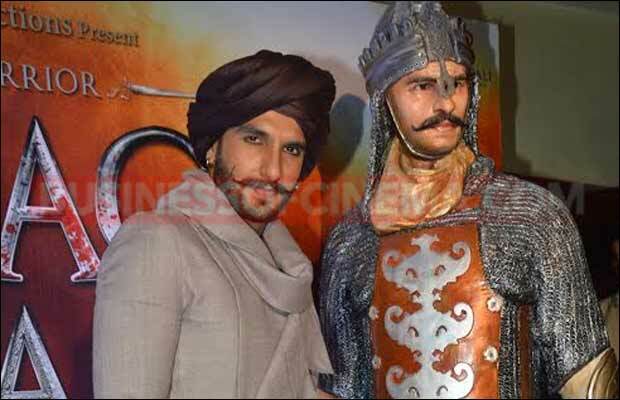 The six-foot hand-painted figurines are made of clay and fiberglass and have been modeled on Ranveer’s look in the film.